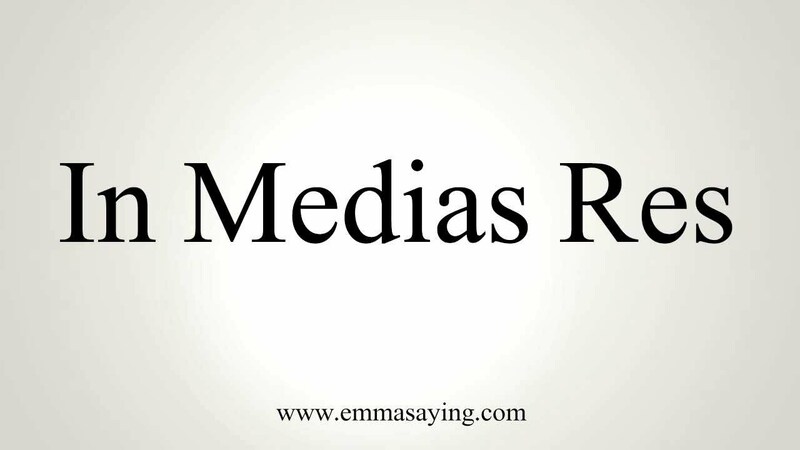 ‘In medias res’ is Latin for ‘in the midst of things'. This is a narrative technique where the story begins at a very interesting and crucial point in the plot. The Greek epics, the Iliad and the Odyssey are the oldest examples of this particular technique. The Odyssey starts at a point when most of Odysseus' journey is completed. Homer then narrates the backstory using flashbacks and the reader gets to know about the interesting characters he had met along the way. Stephenie Meyer opens each book of her Twilight saga series with a preface describing a scene that happens near the end of the story. Most often this is the one scene that sets the story off in the mind of the author. The scene will haunt him/her until he writes it down. Once the scene is in place, the writer can think about the various backstories that might have led the character to this particular scene. The exposition part, where the various characters are introduced, which is how a novel usually begins is skipped to a later part or done slowly as the novel progresses. The benefit of this method is that the reader is instantly hooked into the story. In Shakespeare’s Hamlet, the King of Denmark has already been killed when the story begins. If Shakespeare had begun the story somewhere before the King is killed, perhaps the reader wouldn’t have been hooked instantly. But as it is Shakespeare, we can’t be so sure. He would have found another method to pique the curiosity of the reader. This sort of troupe works successfully in movies and short stories as well. Some of the movies that have used this technique effectively are Shawshank Redemption, The Pirates of the Caribbean, Forest Gump, Inception, to name a few. Have you read any book recently where this technique was used effectively? Do share the name in the comments. Have you read the Letters A, B, C, D, E, F, G, H? It's an absolute pleasure getting the nuances from you each day buddy. Thank you for the same. Glad you find them helpful Thanks for reading, Roma. This is an interesting technique and feels effective too. I'm sure I've read many books with this but nothing comes to mind right now. Yes, it is an effective technique. Thanks for reading, Suzy. Can't think of any particular example but there'll be loads out there. I always try and open with an arresting scene too. The best technique to open! All the best, Nick! I liked the series enough to complete it. It is used as a preface. Many might skip to the first chapter. All the best for your hunt!